In early 2017, Electric District 2 (ED2) in Casa Grande, Arizona, brought online a 1.5-megawat SunPower solar energy system designed and installed by Sun Valley Solar Solutions at its Casa Grande location. ED2’s new solar plant is now providing enough clean and sustainable energy to power approximately 300 homes over the next 30 to 40 years. What’s more, ED2’s solar plant is projected to avoid carbon dioxide emissions equivalent to burning over 2.7 million pounds of coal. The final design incorporates more than 3500 high efficiency SunPower solar panels installed on a single axis tracking system. 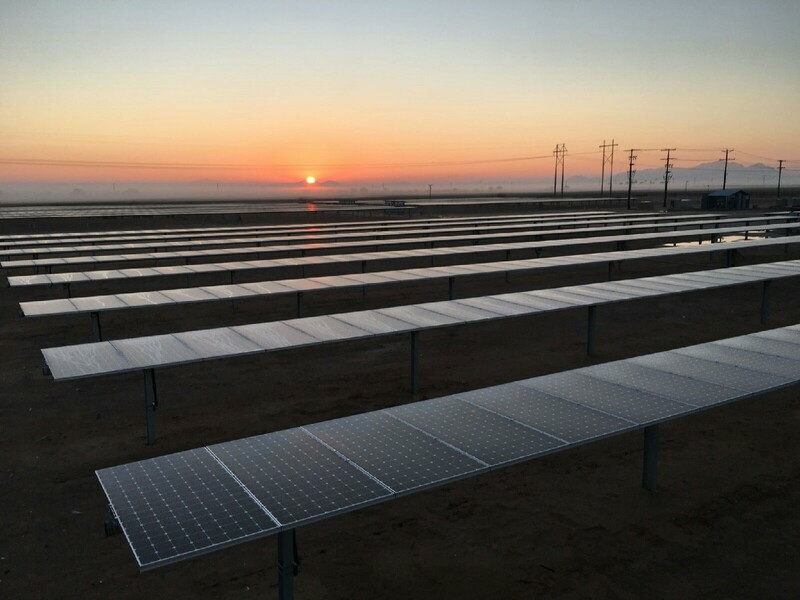 The computer-controlled tracking system allows the panels to follow the path of the sun throughout the day for maximum sunlight capture and a much higher energy production during peak daylight hours, which is also when consumer demand is at its highest. ED2 has a history of pioneering new frontiers in energy distribution. Starting in 1923, more than a decade before passage of the Rural Electrification Act, ED2 was the first electrical district in Arizona. ED2 provided a cheap source of electrical power to farms, businesses and residences, thus improving the area’s economy. Nearly 100 years later, ED2 is again looking ahead as it deploys its first large-scale solar plant. It is expected the facility will generate more than 100 million kilowatt-hours during its lifetime, and reduce the need for power purchases from sometimes volatile power markets, possibly saving the district millions of dollars in the years ahead. In addition to its immediate financial impact, ED2’s new solar energy investment is designed for possible future expansion, allowing ED2 to keep pace with changing technologies and the possible addition of more panels and production capacity down the road.